Is a Christmas ‘massacre’ coming? Sure looks like it. (THREAD) There’s now a rumor in Congress that Trump plans to fire Special Counsel Mueller on December 22. If this happens, it will trigger a constitutional crisis. This thread explains what’s happening and what to do—please read and share it widely. This is an actual emergency. 3/ Further confirmation of this is that we don’t hear from the media or Congressional Republicans any evidence—even claims—that Trump and his associates are innocent. We hear nothing but scurrilous attacks against the investigators. This is what people who know they’re caught do. 4/ For these reasons—and because Trump can’t legally fire Mueller—you should assume the Special Counsel will refuse to be fired directly by Trump if Trump attempts to do this. Instead, he will issue a statement saying that authority to end his investigation lies with Rosenstein. 5/ Rosenstein just made clear, via Congressional testimony, that he won’t fire Mueller without cause, and presently sees no cause to do so. What this means is that Trump would have to fire Rosenstein in order to rid himself of Mueller. But Trump may elect more dangerous options. 6/ Trump knows firing Rosenstein and ordering Rachel Brand (next up at DOJ) to fire Mueller is a fool’s errand: first, because Brand would likely refuse, as Mueller has done nothing to warrant being fired; second, because she’s read history books—she knows this is Nixonian graft. 7/ While Trump could eventually find someone at DOJ to fire Mueller—he can just keep firing attorneys until he gets a stooge to do his bidding as the late Robert Bork did for Nixon—he could also seek recourse in an executive order he issued that arguably lets him name his own AG. 8/ Or, he could select the most dangerous option—one Nixon himself executed once Cox was gone. That would be declaring himself able to fire Mueller and then sending federal law enforcement officers to remove Bob Mueller and his agents from their office and lock down the premises. 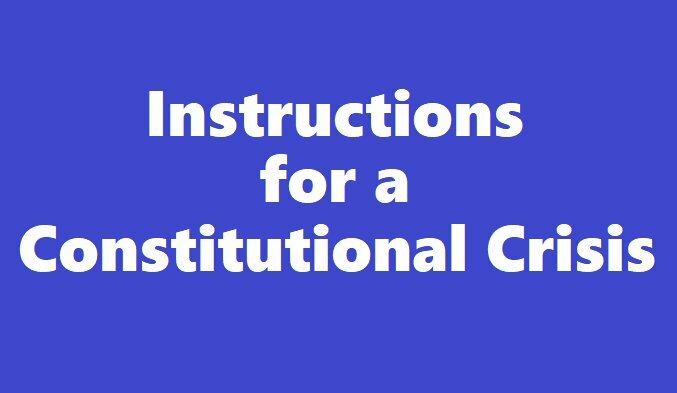 9/ If Trump chooses Option A—firing everyone until he finds a stooge—it’ll take many days and many firings and be a fiasco; Option B (using his own executive order) is substantially easier; whereas Option C could lead to some harrowing televised scenes of forcible federal action. 10/ Mueller is a good man; his whole his biography confirms it. He could acquiesce to being fired to avoid a fracture in the rule of law; he could seek a court injunction to prevent his firing; he could contact Congressional allies and pray a bill is passed to prevent his firing. 11/ Here’s what we know: Trump doesn’t have the power to fire Mueller, and Rosenstein won’t do it. Trump arguably has the power to install an AG who will fire Mueller and Congress arguably has the power to pass a bill to stop it. Mueller will try to protect America’s rule of law. 12/ One other thing is clear: Congressional Republicans lack the will—or, in the House, the interest—to stand up to Trump should he overturn the rule of law. That said, Democrats would only need a small number of Republican allies in the two houses of Congress to protect Mueller. 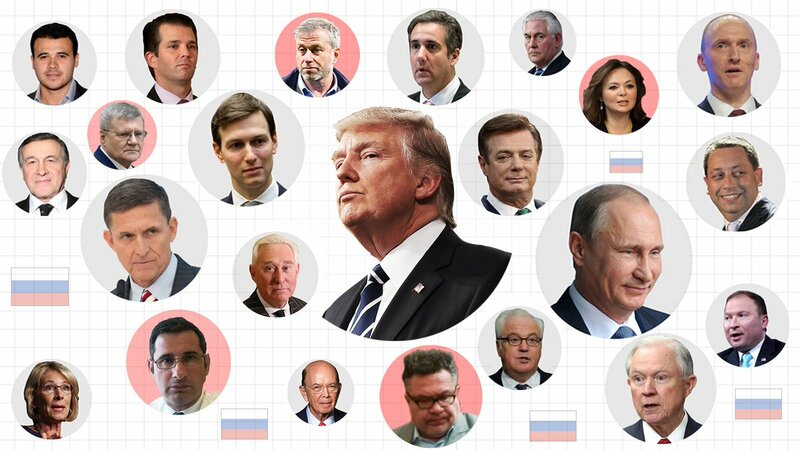 13/ Trump is guilty of everything people believe him guilty of; all the evidence establishes it. So we must predict his actions with that in mind. This is a man who conspired with the Russians to steal an election, and now holds the reins of power at the seat of power he stole. 14/ The rumors over the past few days are that Kushner may soon be indicted; certainly, Mueller asking Kushner to answer questions on what Flynn said to him at a time Mueller knew—but Kushner didn’t—Flynn was cooperating suggests Mueller has gotten Kushner to incriminate himself. 15/ The point is that Trump believes—rightly or not—this investigation is about to reach another of his right-hand men (two are already charged), this one a family member. And Trump knows he is guilty. And he’s not emotionally well. So it’s not clear what Trump is willing to do. 16/ The best-case scenario here: Trump keeps firing people at the DOJ—all of whom refuse to do his illegal bidding—until he runs out of political capital in Congress. The worst-case scenario: Trump uses federal agents to physically remove Mueller and his team from their offices. 17/ The second best-case scenario: this ends up in the courts—eventually SCOTUS—where we can assume (or at least pray) rule of law will prevail. The second worst-case scenario: Trump installs his own AG, who then fires Mueller, ending actual (but preserving apparent) rule of law. 19/ Understand that *all* of these scenarios *except* the unfettered continuation of the Mueller probe are a significant blow against the rule of law in America, to the point that Trump becomes as much a monarch as a president—in actuality above the normal operation of our laws. 20/ Any American who thinks there’s even a 1% chance Trump conspired with our foes should want that 1% possibility 100% investigated. The only reason to want the Mueller probe ended entirely is because you want Donald Trump to reign over America as a king rather than a president. 21/ What all this means is that if Trump takes *any* action against Mueller, our rule of law is *gravely* threatened. Even if you think Mueller’s work needs careful oversight, there’s already a *Trump appointee*—Rosenstein—who’s doing that and certifies the probe has been honest. 22/ So all Americans, no matter their political stripe or what chance you think there is that Trump is guilty—1% or 90%—should do what Americans did during the Watergate Era if Trump fires Mueller: take to the streets and swarm Congress’ phone lines until rule of law is restored. 24/ The key here is that the protests must not and cannot stop until rule of law is restored: a Mueller investigation, overseen (as now) by Trump appointee Rosenstein, which has unfettered access to evidence and witnesses in an effort to find the truth—and justice—for Americans. PS/ Other things to keep in mind: Mueller *could* speed up his indictments, and/or agents of his could (presumably without his approval) leak inculpatory evidence about Trump and his associates, in an effort to underscore the legitimacy of—and seek to protect—their investigation. PS2/ Democrats (perhaps even with a few GOP allies) could go into a “lockdown scenario” in which they use every procedural measure at their disposal to shut down all operations of government—except emergency operations—until such time as Congress passes a bill protecting Mueller. PS3/ American and international media could begin reporting, in real time, Americans’ dramatic and quickly changing reactions to Trump’s actions—which would be critical because firing Mueller would *almost certainly* drop Trump’s approval ratings into the mid- (or even low) 20s. PS4/ Trump’s ability to appear in public for rallies or other public events may be severely curtailed due to the protests; reporters would be likely to shout questions at him during any public appearance. His presidency would be paralyzed—in Congress, in public, and in the media. PS5/ Because firing Mueller would shake the foundations of American law and democracy to their core, we would expect *dramatic* market volatility for the entirety of the crisis. Likewise, we would expect a leaky White House and Congress to go from “leaky” to a veritable *deluge*. SOURCES/ If you still need evidence of collusion, here it is. But as you read it, remember: (1) this is a *fraction* of the evidence Mueller has; (2) this only needs to make you 1% fearful Trump is guilty—as that’s enough to 100% support an investigation. SOURCES/ Here’s the second-ranking Democrat on the House Intelligence Committee, Rep. Jackie Speier (D-CA), discussing new rumors in Washington, D.C. that Trump plans to wait until all of Congress has left the capital to fire Special Counsel Bob Mueller. This entry was posted in Trump and tagged Trump on December 16, 2017 by Silver Willow. That's a long and interesting read. Thanks for sharing it. I didn't read the entire thread, but I did read several articles online. Thanks for your time in sharing this. I believe, from my somewhat limited legal background, that the DOJ is building up an iron clad case before they proceed aggressively. In the meantime, Trump will continue to defend himself and his party with his limited chess pieces until checkmate is called. And then, Hallelujah. I didn't read the entire thread, but I did read several articles online. Thanks for your time in sharing this.I believe, from my somewhat limited legal background, that the DOJ is building up an iron clad case before they proceed aggressively. In the meantime, Trump will continue to defend himself and his party with his limited chess pieces until checkmate is called. And then, Hallelujah. Doesn't look good for Trump. Interesting analysis. I enjoy reading these. Merry Kissmyass, Donald.